This is basically for dragons whom have passed away, such as your original character's mother who's passed away or something. There is no limit to dead characters you can put in here, but you aren't allowed to use a living character. Nimbus can participate since he can see the dead and communicate with them. Made solely for the LOL's. HAVE FUN! ...Vulcan's ancestors, Vulcan I. and Vulcan II. were meeting together here to discuss the future of their descended. "Well...it seems like our descended found some dragons to call his "friends", right?" "My, you are right, although to be honest, for me it seems like he spends too much time at his anvil instead of the outside world." A white dragon of immeasurable beauty walked through the darkness, her eyes clouded as she watched the snow gently fall from the sky, but yet couldn't feel it. Oh, what she wouldn't give to feel snow on her scales once again. 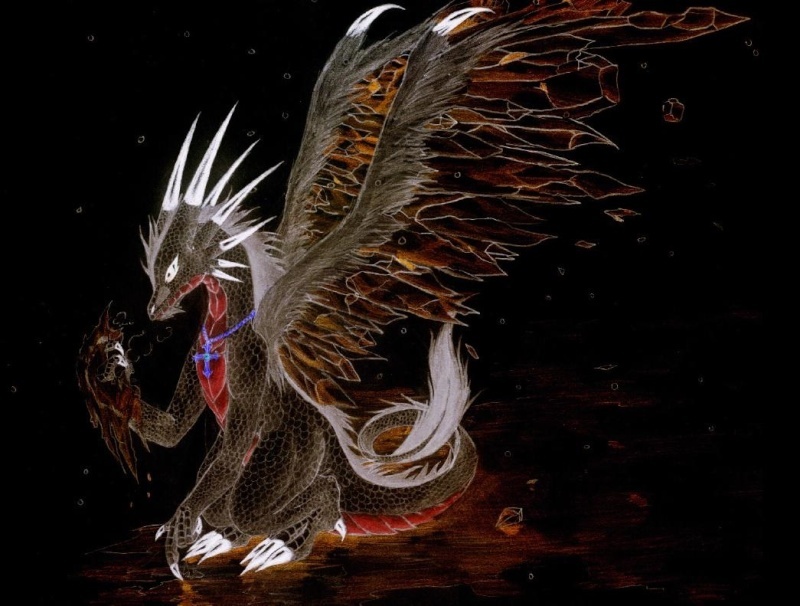 Hearing a voice, the white dragoness, Ray, spun around and stared over at two dragons. Curious, she approached them with caution.